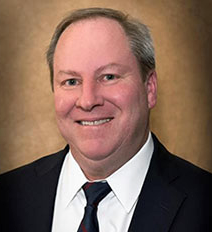 Aerojet Rocketdyne has disclosed that Greg Jones will join the company on February 5 as Senior Vice President, Strategy & Business Development. Aerojet Rocketdyne's SVP of Strategy & Business Development, Greg Jones. Jones will report directly to CEO and President Eileen Drake and will serve as one of the officers of parent company Aerojet Rocketdyne Holdings, Inc. (NYSE:AJRD). He brings more than 30 years of aerospace industry experience through strategic leadership roles at Orbital ATK, Orbital, The Boeing Company, and McDonnell Douglas. He most recently served as Vice President of Corporate Business Development & International Programs for Orbital ATK. In his new role with Aerojet Rocketdyne, Jones will champion the company's long range strategic planning and growth initiatives, enhance customer alignment, and guide efforts to expand the business into new and adjacent markets. Eileen Drake noted that Greg's diverse industry expertise will help Aerojet capitalize on the company's core strength of proven innovation through commitment to cutting-edge technologies. As the aerospace and defense industry grows more competitive and complex, the key to sustaining healthy growth is the company's ability to strategically differentiate ourselves from competitors while identifying unique opportunities for collaboration and advancement.